The Smartest Kid: Underwater is an Android game designed specifically for kids, aged upto 5 years. The app’s concept is relatively simple, yet entirely new in the Android world. The app was designed in such manner as to enable kids to get familiarized with the underwater world, the form of each creature (starfish, jelly fish, sharks) as well as their specific names. In this regard, the app manages to excel and provide kids with a lightweight environment where to practice and get accommodated with this world, all without having to go to a museum or underwater. In Puzzle Mode players are offered a unique aquatic board with empty shapes (forms) of the aquatic creatures. These can represent the golden fish, T-Hammered Shark, turtle, dolphin and so on. Kids’ objective is to fit each of the aquatic animals on the left side into the specifically shaped box, thus being able to get accustomed with their form. Also, when each creature is fit into the space, the narrator pronounces its name clearly so kids can learn how that creature is called. Overall, there are 9 different stages to be completed in Puzzle Mode, each of them offering new and enticing animals to discover. Guess Mode is another interesting feature of this app. In Guess Mode, players have to click on cards and reveal the sea creatures drawn on them. Objective is to find two identical cards so that they cancel each other and get removed from the board. This is another attempt of the team to get kids familiarized with the sea creatures. There are also 9 stages to be discovered here, but the difference is that in Guess Mode the narrator no longer spells creatures’ name. The Smartest Kid: Underwater comes with HD graphics which look very appealing on recent Android devices, regardless of whether they are smart phones or tablets. However, thanks to its low dimension and simple concept, the game can be successfully played on lower-end devices alike. 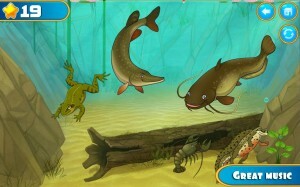 The game comes complete with a peaceful music that will induce the child a state of tranquility. The music changes sometimes throughout the games as long as the player keeps advancing. It is capable of inducing a good mood as it somewhat bonds with the overall aquatic environment. With 9 different locations to explore in 2 different game modes, the game is sure to keep players entertained. In each level new aquatic creatures are brought to life, enticing the eyes of kids while also challenging them to find out who these creatures are. The Smartest Kid: Underwater is a great game that parents should offer to children. 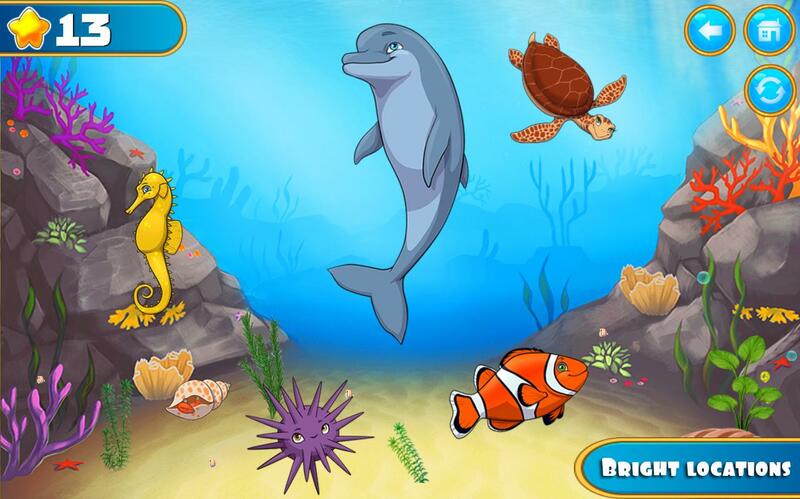 It is available free of charge in the Play Store and enables kids to get familiarized with the amazing world of sea creatures. The game provides an overall good mood to the player and comes with plenty of levels to explore.